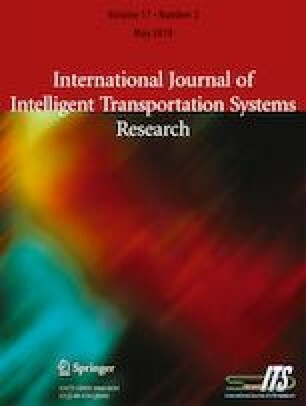 This paper describes an approach for designing a (near-)optimum path for an intelligent vehicle which is moving in an urban environment cluttered with weighted regions. The vehicle is requested to move from its depot, passing through a predefined set of customers and return back to its depot. In the proposed approach, first, using an image of the Urban environment, we apply the A-star algorithm in order to construct a distance matrix between the depot and the customers and between the customers. Then, a Genetic Algorithm with special encoding is used to search for a near-optimum solution. The objective consists of designing a (near-)optimum path for an intelligent vehicle so that all the customers are served as soon as possible while simultaneously respects the kinematical constraints of the vehicle and the linked constraints of the customers e.g. the time windows. The efficiency of the developed method is investigated and discussed through characteristic simulated experiments concerning a variety of operating weighted regions.